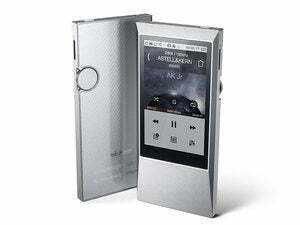 Pioneer is destined to make a splash with its first high-resolution digital audio (DAP), the XDP-100R ($699 and available at Amazon). While it wasn’t the sweetest sounding player in our roundup, its slick user interface, rich feature set (including support for MQA audio files), and overall great sound made this the player to beat. Its only major downsides are lackluster MacOS support and its bulky size. 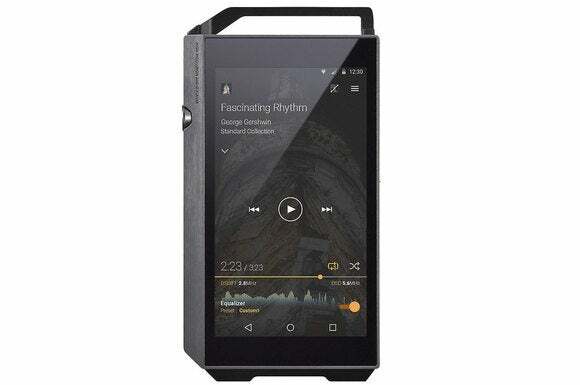 The Pioneer XDP-100R is basically the merger of a 4.7-inch Android mobile device with the guts of a high-res audio player. Thankfully, Pioneer’s design didn’t come out looking like Frankenstein’s monster. It’s not as sleek as it could have been, but its machined-aluminum exterior is beautiful and rigid. There’s 2GB of RAM under the hood, complementing 32GB of flash memory for storing music. This is augmented by a pair of microSD card slots capable of storing an additional 200GB each. 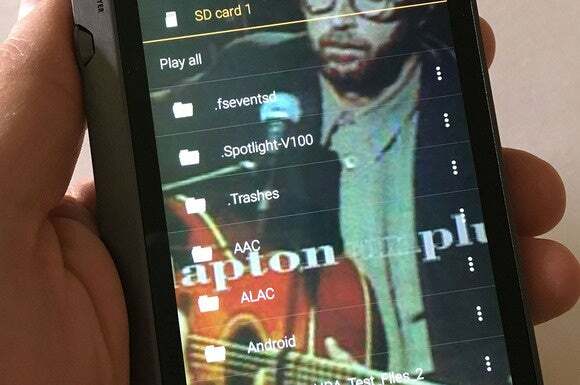 As we’ve noted elsewhere, be sure you use high-quality, name-brand microSD cards, as some high-res DAP vendors have apparently run into issues with lesser-quality cards of that capacity. 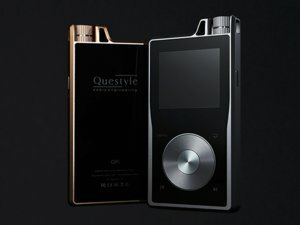 The Pioneer sports a single ESS Sabre ES9018K2M DAC (digital-to-analog converter). Amplification comes courtesy of ESS’s Sabre 9601K headphone amp. Pioneer physically separated the DAC/Amp circuit board from the main board to minimize noise by isolating the two components. Pioneer also fitted the DAC/Amp board with dedicated capacitors to for a clean, closed-loop design. 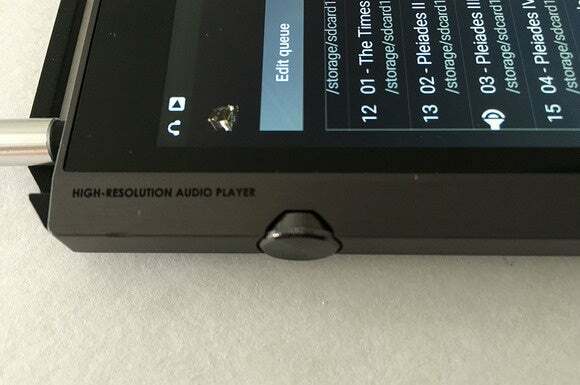 For whatever reason, it seems most high-res DAP designers have singled out the volume-control knob as worthy of aesthetic flair. Pioneer’s team ignored that trend. 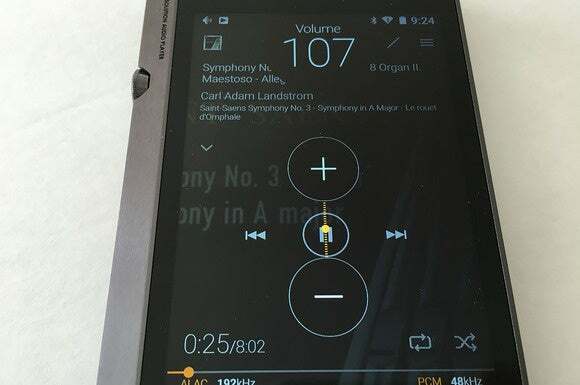 The XDP-100R’s volume control is actually understated. It’s also on the left side. While that may be a blessing for left-handed users, it took time for me to grow accustomed to adjusting the volume. 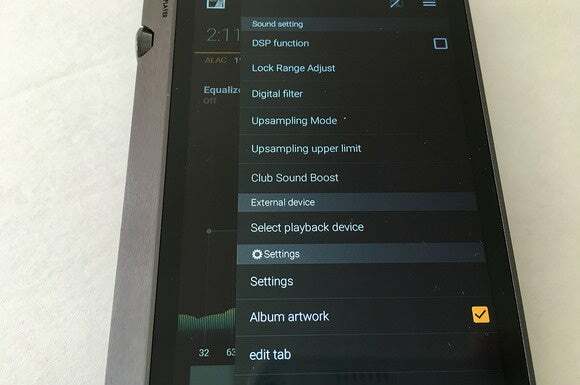 Also unlike other high-res DAPs in this roundup: you can adjust this player’s touchscreen to control the volume—but only after you’ve called it up using the physical volume wheel. 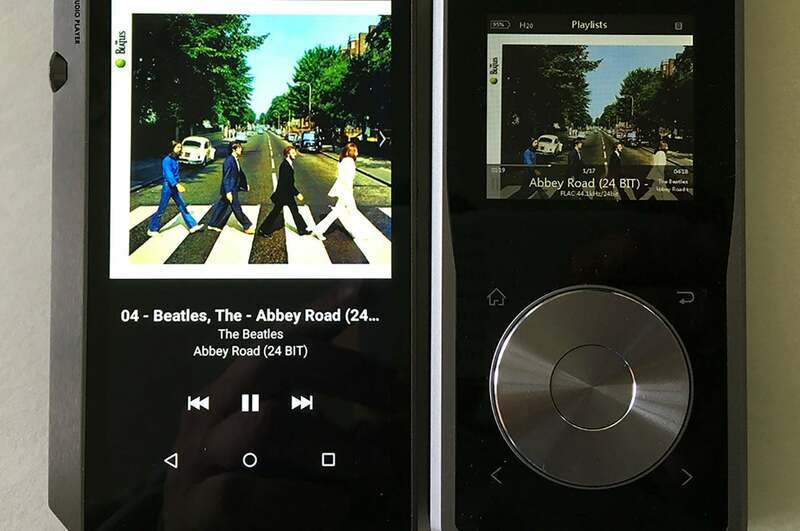 Unlike its competitors, and true to its Android roots, Pioneer’s player lets you install alternative music-player apps from the Google Play store. There’s the default app, called simply “Music,” or you can use the Onkyo Music app, which lets you purchase CD-quality or high-res music from the Onkyo Music Store (Onkyo is Pioneer’s parent company). 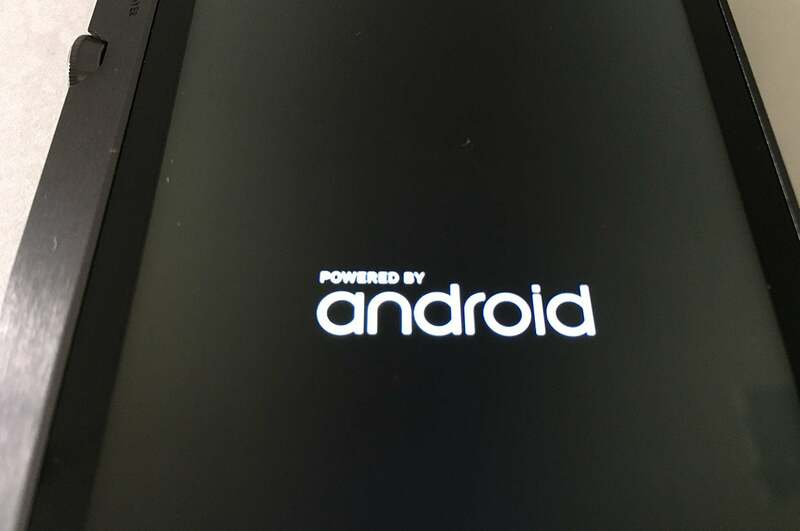 The full range of Android apps and services are also available. 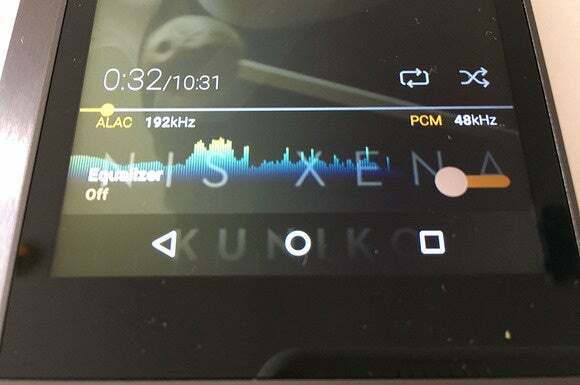 Speaking of alternatives, the XDP-100R is the first high-res DAP to support native playback of MQA (Master Quality Authenticated) audio files. 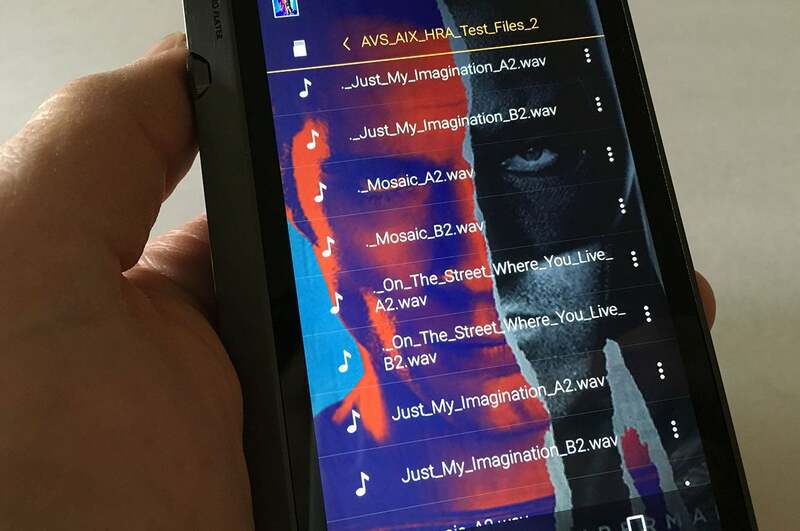 This is a big deal because MQA files have an embedded digital fingerprint certifying that the recording artist, recording engineer, or producer attests that the music was sourced from the original studio-master recording. That means the file you’re listening to has been sourced form the highest-quality recording available. Now that doesn’t necessarily mean that the track was recorded in high resolution, because that technology might not have been available in the studio at the time; but it does mean that you won’t find a higher-quality track anywhere else. Unlike the Astell&Kern AK Jr and Questyle QP1R, the Pioneer’s user interface is an absolute joy to use. First off, it’s fast: No lag, no delays. Information is consistently displayed in a clear and fairly legible manner at all times. This was also the only player where I could search for music. I have a huge music library and used the search feature all the time. The Pioneer XDP-100R was the only player in our roundup that doesn’t show up as an external disk for drag-and-drop file transfers. Instead, you must use the company’s X-DAP Link software to transfer files. The software is great and allows you to synchronize folders on a Windows PC, but I ran into a problem: There’s no version of the software for the Mac. Pink Floyd’s Dark Side of the Moon and Wish You Were Here, Led Zeppelin II, the Beatles’ Abbey Road, Eric Clapton’s Slowhand, and Steely Dan’s Gaucho headline a long list of high-res music albums I put to the test. Through them all, the XDP-100R displayed exceptional musicality. This story, "Pioneer XDP-100R review: This polished and flexible high-resolution audio player is loaded with features" was originally published by TechHive. 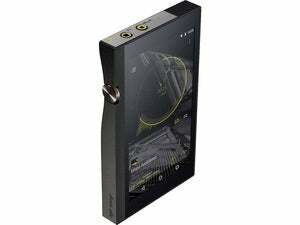 Pioneer's XDP-100R is a polished, flexible, and sweet-sounding high-res audio player with loads of modern features. Its only major drawback is its bulky size.